Grill with genuine Swiss cold steel. 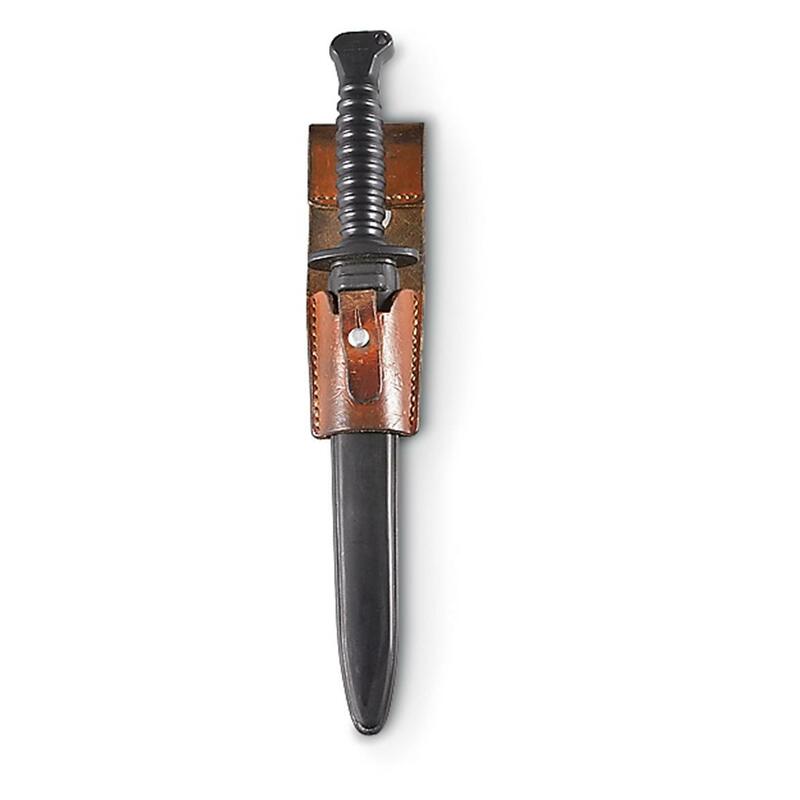 You've heard of beating swords into plowshares. 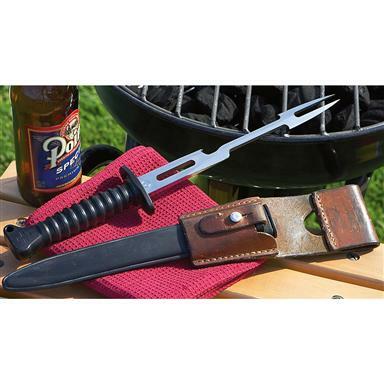 Well this is an authentic Swiss Military Bayonet reborn into a viciously-effective grilling tool. 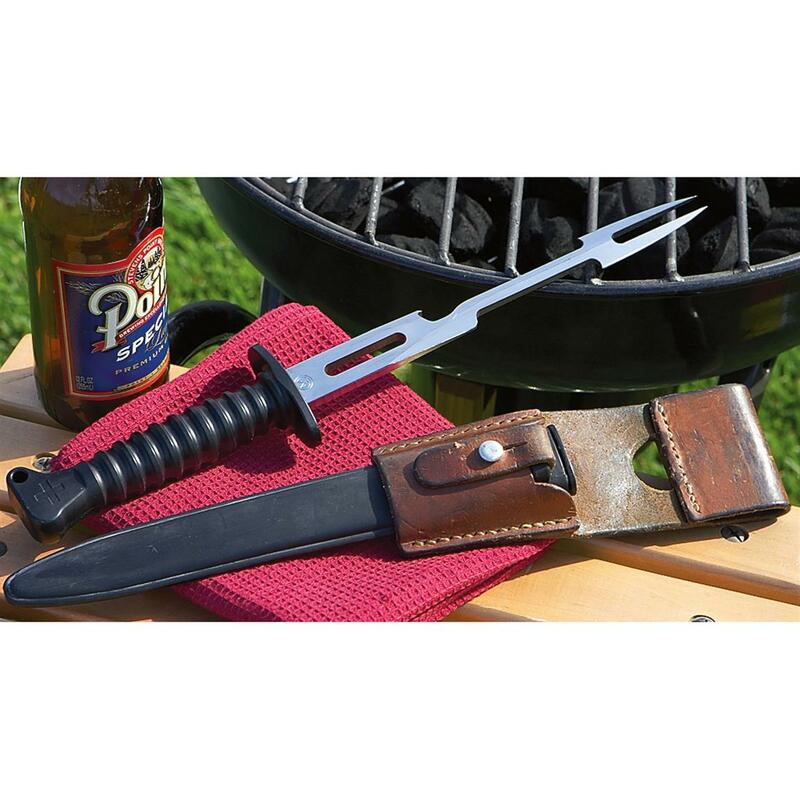 Includes a scabbard so you can keep your fine military BBQ implement on hand for quickly redeploying burgers, steaks or dogs over the hot coals.